RANGELEY — The Rangeley Lakes Chamber of Commerce has announced that the 15th annual Mountain Holly Days event has been scheduled for Friday, Dec. 7, and Saturday, Dec. 8. 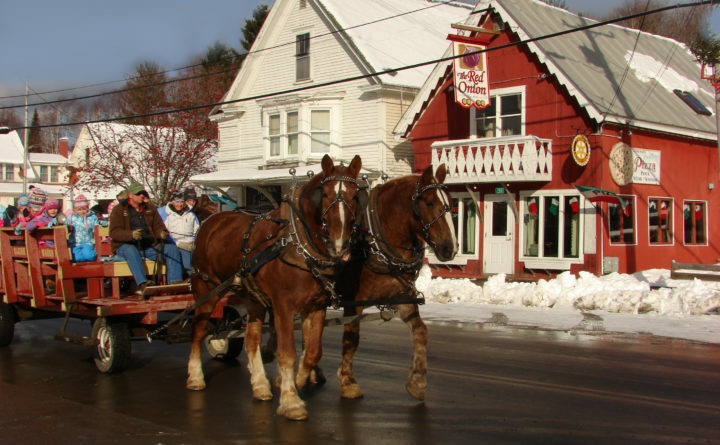 There will be shopping and dining specials, refreshments, horse-drawn wagon rides sponsored by the Alpine Shop, special festivities, family activities, tasting events and contests. Mountain Holly Days epitomizes the time-honored tradition of families shopping together and enjoying holiday festivities and activities. Shoppers will enjoy many special offers from local businesses, find unique, quality gifts for that special someone and participate in various holiday activities. Visitors will enjoy shopping and dining with personal, friendly service and none of the hassles of big-city shopping.